Welcome to RW Paintball where you can book paintball online. 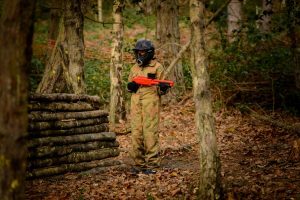 We offer a number of paintball games from our sites across the home counties. Please choose which game you are looking to play and click on the link below. You’ll be taken to a page with more details and a breakdown of costs. You will also be able to pay your deposits securely through Paypal or Paya. This game is suitable for all players over secondary school age, as long as they can move freely around a woodland environment. There are a number of package options available for Adult Paintball so please click here to visit our online booking page and choose your package. 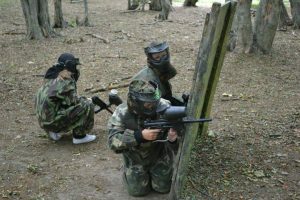 Kids paintball is offered for 8-11 year olds across a number of our sites. Prices can vary by site so please read the costs carefully before booking.. The games take place over a 2 hr session. Min 10 players recommended to guarantee your prefered date. If you have less than 10 still contact us as we’ll always try to accomodate you where possible.You can book Kids low impact paintball by clicking here. Laser Tag is priced at £32.50 per player, requires a minimum of 10 players and can be booked by clicking here. We will contact you within 24 hrs to confirm receipt and let you know everything is in place. Please note bookings are not accepted until we have contacted you confirming we have availability for your group on the chosen day and site. Please only book for weekends through the automated system. If you are looking to play midweek contact us directly to confirm availability before paying. If you book for a day we are not able to run we will contact you to offer an alternative date/site/refund in line with our policies. Please make sure you are aware our refunds and policies page before paying. Players who do not show on the day will loose their deposit. Midweek games require full payment upon booking. No refunds or exchanges are available for any players who do not turn up on the booked day/time.